in front of the hood. Built in 1937 for the Youngstown & Northern (a US Steel line) as #202. Traded to EJ&E (another US Steel line) in 4/46 and renumbered #408.
to the Sabine River and Northern in 1965, keeping #408 in both cases. 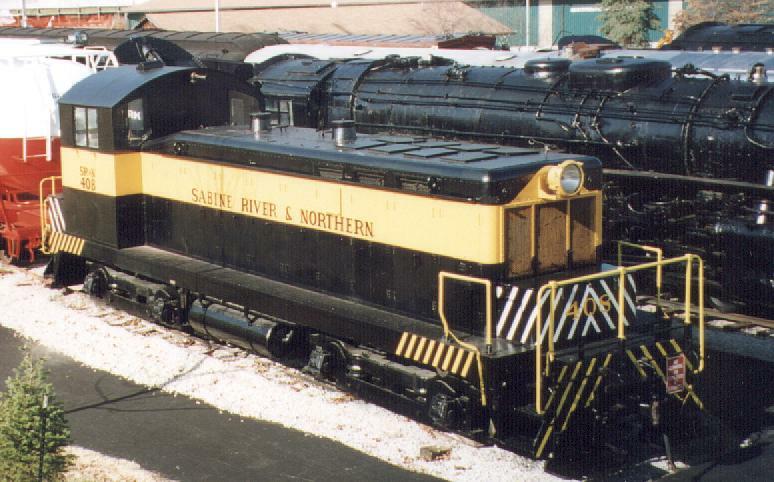 It was donated to the Museum of Transportation, St. Louis, MO in 1973.
change is the center cab windows over the hood are removed. Thanks to Ron for mailing me this photo so I can share it with all.